Where to Buy Maki Pellets Place Packs, Maki Pellets Place Packs - 4 Pails of 75 x 1.5 Oz - $214.95 for Sale with Fast Free Shipping! 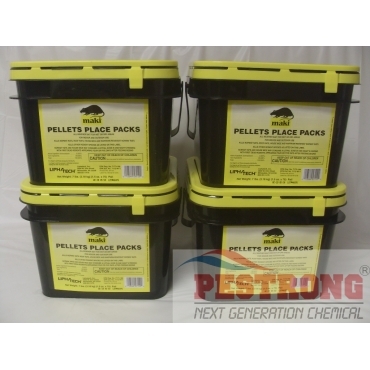 Maki Pellets Place Packs - 4 Pails of 75 x 1.5 Oz pre-measured amount of rodenticide reduces wasted bait for maximum economic savings. No need to open place packs or touch the bait. Special place pack film allows the pellets attractive aroma to escape luring rodents to gnaw open the place packs and feed. 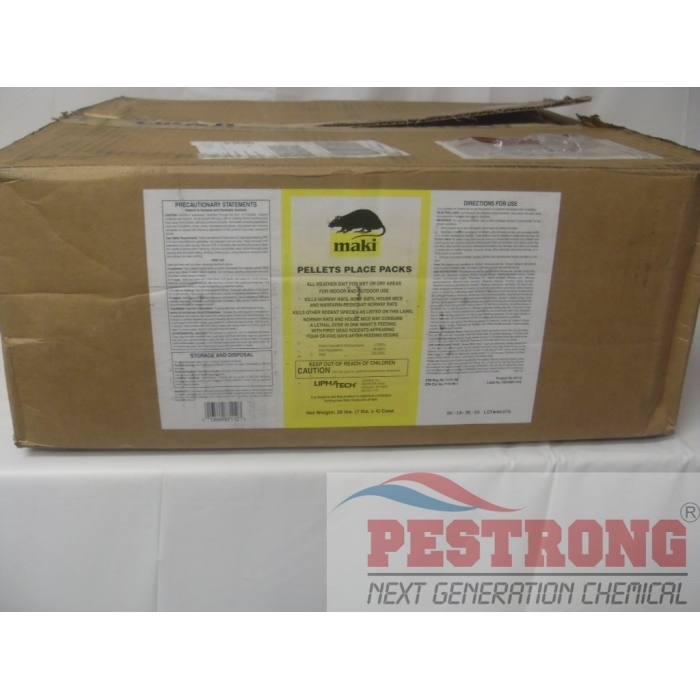 This product is a very smart implementation to get rid of rodent pests. Instead of leaving out a sticky pad with bait on it, you just place these small packets in the areas you know the pests roam. Also, you don't have to open these packets to lure them. This prevents spilling the contents from accidental contact, and it never exposes me or anyone of the stuff. The rodents will come to it and eat through the packet to eat the poison. It works well and my pest problem was gone quickly. This product may seem expensive, but you get 4 buckets of the stuff, each with 75 packets. That's a lot! It's worth the hassle free effort of these things.